Back when we started on our guest room makeover, we gave ourselves the challenge of keeping costs to a minimum. We’ve done pretty well so far by using what we had on hand (paint), scoring great deals on Craigslist (our $10 dresser), and adding pizzaz with DIY projects (the stenciled closet). However, when it came time to address the bed situation, we knew it would be hard to keep costs down. Y’all keep us accountable, so when you asked how much our headboard cost to DIY, we decided it was time to spill the beans! Despite misplacing our Lowe’s receipt (it’s not like we could return that MDF now anyway), lots of online-price checking and tallying has resulted in our best guess as to the cost of the headboard. Check it out. $100 for a headboard isn’t bad, considering similar ones cost in the $300 range online. 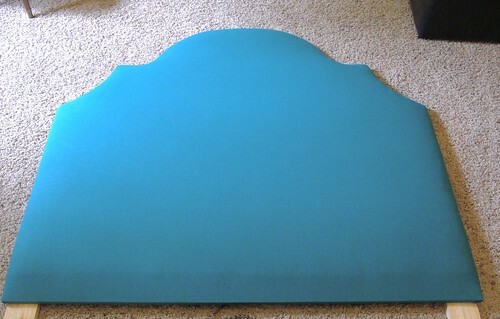 The headboard did turn out to be a little more expensive than we planned for, but there is a silver lining. Remember the old guest room bed frame that took up too much room? We sold it on Craigslist for $65 before starting this project. That means our headboard only set us back $35 in the end! This has been seriously one of my favorite projects in a long time, and since it turned out so well, I can totally see us making a few more headboards down the road. If you’re considering making your own headboard, here are a few things we learned and things we’d change if we did it again. The biggest contributors to cost were the MDF and the batting. 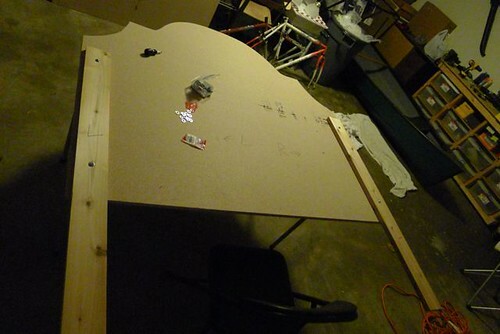 If you have a sheet of plywood laying around, use that and save yourself 25 bucks! Have a thick comforter or quilt you never use? How about using it for padding and saving another $27? If you’re using nailhead trim, less is more when it comes to batting. You want to make sure your nailhead tacks will be nice and secure. 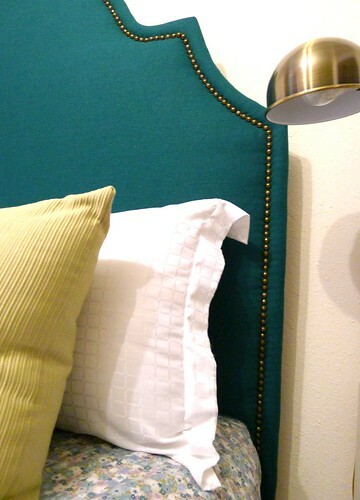 Avoid sharp interior angles when designing the shape of your headboard. Those are the most difficult to get smooth during the upholstering step! You could also upholster the legs of the headboard if they’re going to be visible (if your bed is generally seen from the side), or consider painting them to match your fabric. 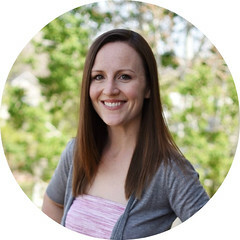 I hope the lessons we learned will help if you tackle a project like this yourself. 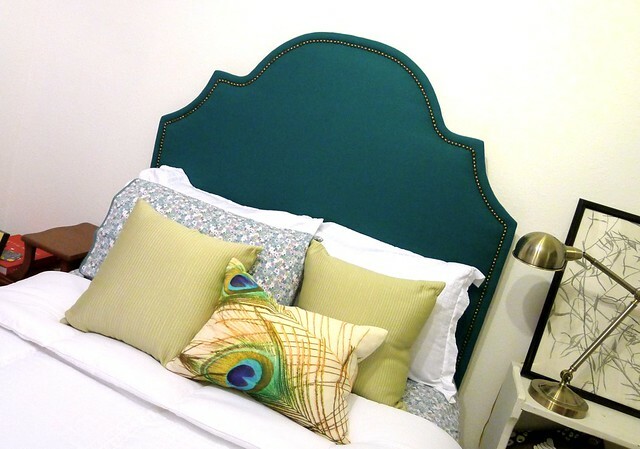 I know we’ll be referring to this list a lot if we make another headboard in the future! So what do you think? Did you expect the headboard to cost more or less? 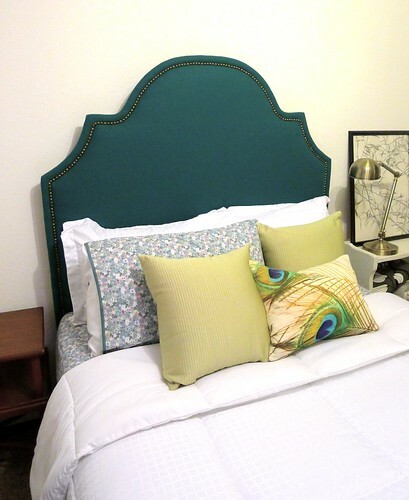 This entry was posted in building, Furniture, guest/craft room and tagged peacock bedroom, teal and brass headboard, upholstered headboard. Bookmark the permalink.